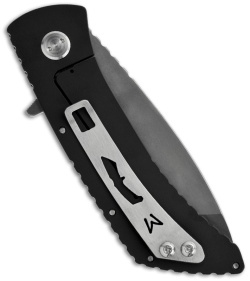 The MKT TFF-2 folding knife is an adaptation of Medford's Hybrid TS series fixed blade. 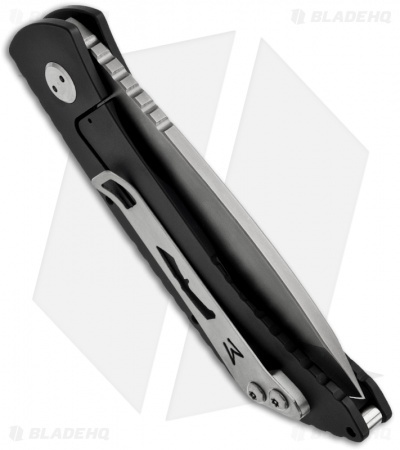 It is over-built with beefy construction, this knife can hold its own. The blade is uniquely shaped with a tanto tip and a recurved edge. It is NPS nickel coated D2 steel with hollow grinds and a flipper/guard for one-hand opening. The handle is simple slab construction; black aluminum up front and a black titanium framelock back with pocket clip (tip-up). 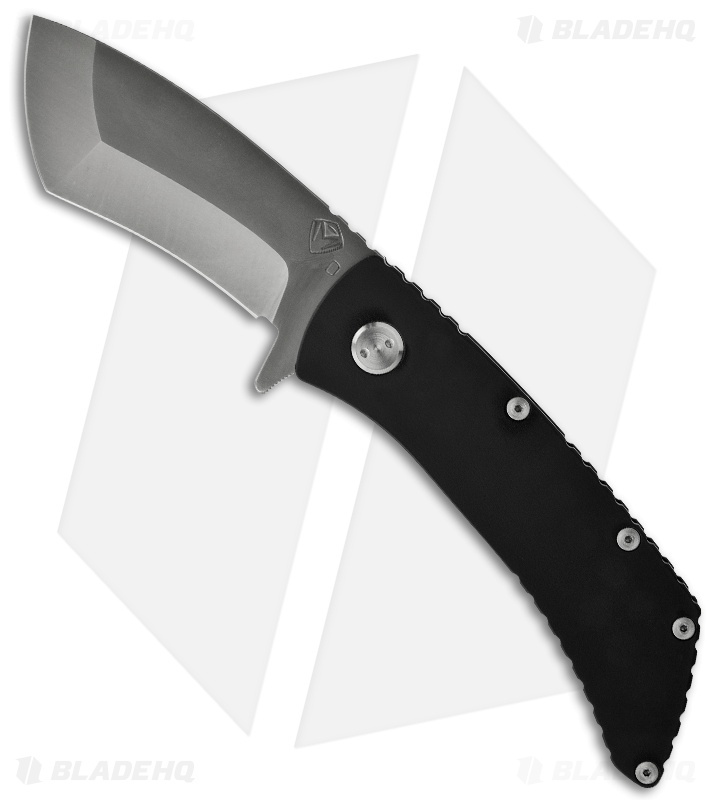 The TFF-2 is referred to as the Emergency Light Weight Machete, and if you had to choose a knife to be stranded with, this one would come out swinging. Comes with a waterproof case.